BARBIE BASSETT TOPS ADULT SUMMER READING PROGRAM AT THE PEARL PUBLIC LIBRARY! The Pearl Public Library's Summer Reading Program - full of fun, free, no reservations required events - kicks off Mon. June 2. The Adult Theme is Literary Elements. How better to celebrate Literary Elements than to bring in a local author. But, NOT just any author mind you. The featured headliner is local celebrity and everybody's favorite meteorologist, Barbie Bassett, who will be the guest speaker at the library's Brown Bag program Fri. June 27 at 12 -noon. Bring your lunch. Refreshments and drinks provided. Bassett will talk about and sign her new book Carry An Umbrella When There's No Rain in the Forecast: 365 Days of Living by Faith. "We are so honored and extremely excited to have Barbie as part of our Summer Reading Program," says Eleanor Jones, the library's Reference Supervisor and Adult Programs Coordinator. "She is loved by many and is a wonderful writer. This is a great opportunity for people to come, meet her for free. You can't beat that! Also anyone that is interested, can buy one of her books and have her sign it for them. That would be something to treasure forever!" More Literary Elements are celebrated at the Chapter 1 Book Club gathering, Thurs. June 12 at 6 p.m. with a discussion on Defending Jacob, a legal thriller by William Landay. Light refreshments and door prizes included. Also on tap for June's Adult Summer Reading celebration is a special Simply Crafts night - headed up by Eleanor - showing how to make gorgeous Mercury Glass (also called Silvered Glass) on Tues. June 10 at 6 p.m. All materials supplied. On Fri. June 13 at 1 p.m., senior adults can enjoy a movie at the library during Senior Friday Flicks. Hey, how about a chance to win a $50 Walmart gift card?! Sounds good doesn't it! Then get in on Literary Elements Tic-Tac-Toe starting Mon. June 2. Read books and magazines for a chance to win this fabulous prize! Throughout the month of June and the entire span of the Summer Reading Program, which ends Thurs. July 10, there will be crossword puzzles and quizzes that come with a chance to win a prize from the library's Summer Reading prize vault! Summer Reading registration is underway now at the library. That pretty much does it for June. Stay tuned to this blog for all of July's Adult Summer Reading events coming soon. 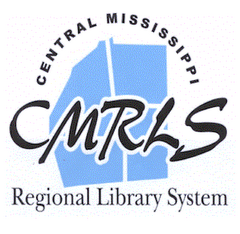 To stay abreast of all Summer Reading Programming check out CMRLS' website calendar. You don't want to miss a thing this summer at the Pearl Public Library! SUMMER READING 2014 is almost here and we are excited! We have over 40 programs lined up for you, from babies to high school seniors. Which group do you think will be launching catapults?!! If you think reading is boring and library's have nothing but books, we're going to prove you WRONG! Because this year's theme, "Fizz, Boom, Read," is all about science! Not just any science either. The kind you wouldn't expect in a library. Shhh! Don't tell anyone but we will be blowing up things and making slime and spitting watermelon seeds. It will be a summer of fun. Stop by the Brandon Library today to get your registration bag and calendar. As always, everything is free and you do not have to be registered at Brandon to attend any Brandon events. SIMPLY TURN ORDINARY GLASS INTO FANCY SILVERED GLASS AT THE PEARL LIBRARY! That's right! You can take any piece of glass, says Eleanor, and give it that gorgeous antique silver finish. It's Mercury Glass (also called Silvered Glass). 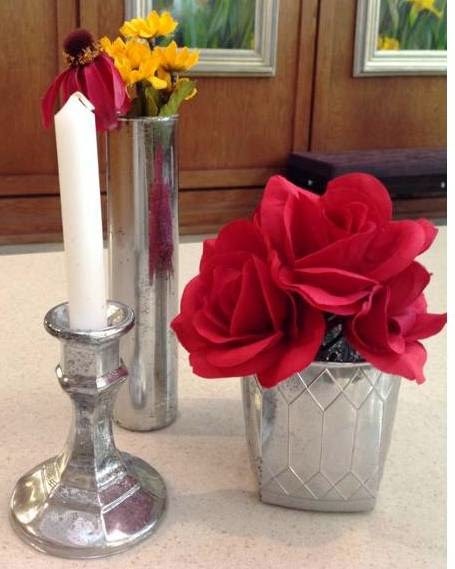 And that's the Pearl Public Library's June Simply Crafts feature - DIY Mercury Glass. You know it can be reeeeeeeeeeeally expensive to buy Mercury Glass! So, how great is it that Eleanor is going to show you how to do it yourself! It's so simple. "The supplies are a spray bottle with one (1) part water to one (1) part white vinegar and Krylon's Looking Glass Mirror Like Paint," she said. "The results are awesome!" Tues. June 10 at 6 p.m. Don't miss it. Materials supplied and no reservation required. MAKING FLOWERS WAS LIKE MUSICAL MAGIC AT THE PEARL LIBRARY! Vinyl Record Flowers fill this big vase. Simply Crafts night, Tues. May 13, at the Pearl Public Library, was a huge success said Eleanor. 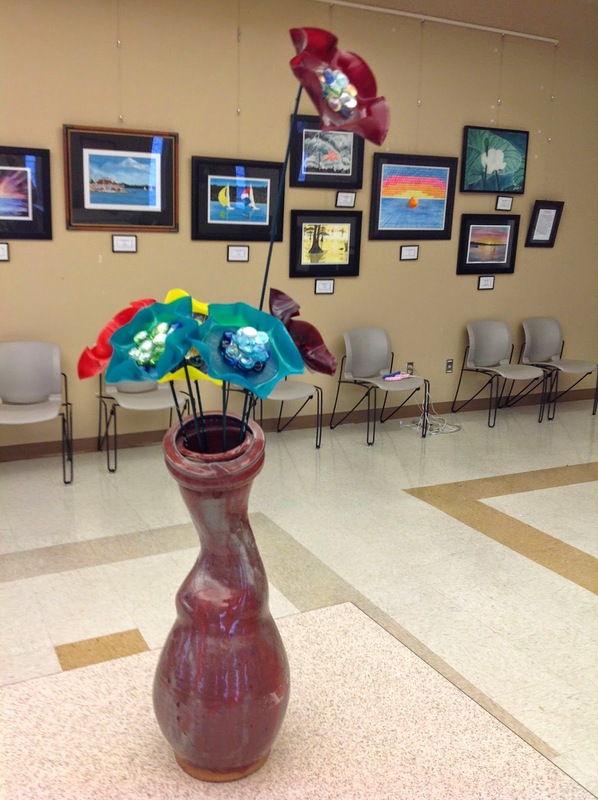 The group took vinyl records and turned them into long stemmed flowers! 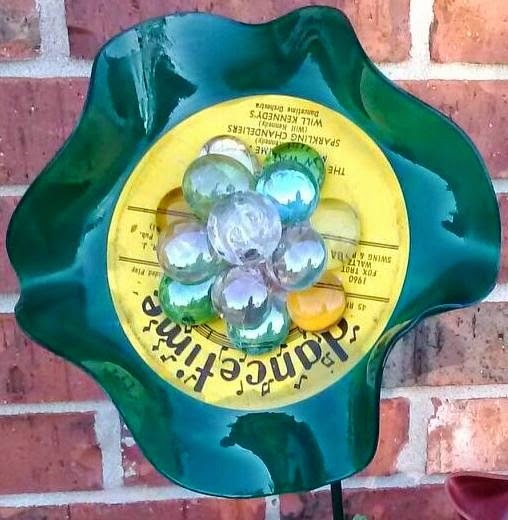 These vinyl beauties look great in potted plants, as yard decorations or just bunched together in a large vase. "They really enjoyed watching the records melt in the oven," said Eleanor. "They generally loved the craft as whole!" 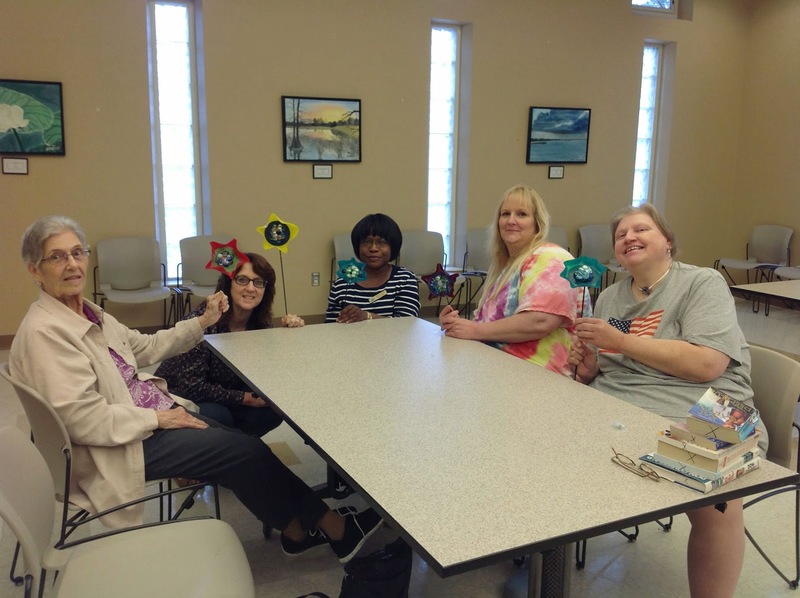 Some Simply Crafters showing off their Vinyl Record Flowers! Eleanor is working very hard on ideas for next month's Simply Crafts coming up June 10 at 6 p.m. Remember it's free, all materials supplied and no reservation required! Come on and join in this fantastic monthly fun! BEAUTIFUL ART COLLECTION AT THE PEARL LIBRARY! 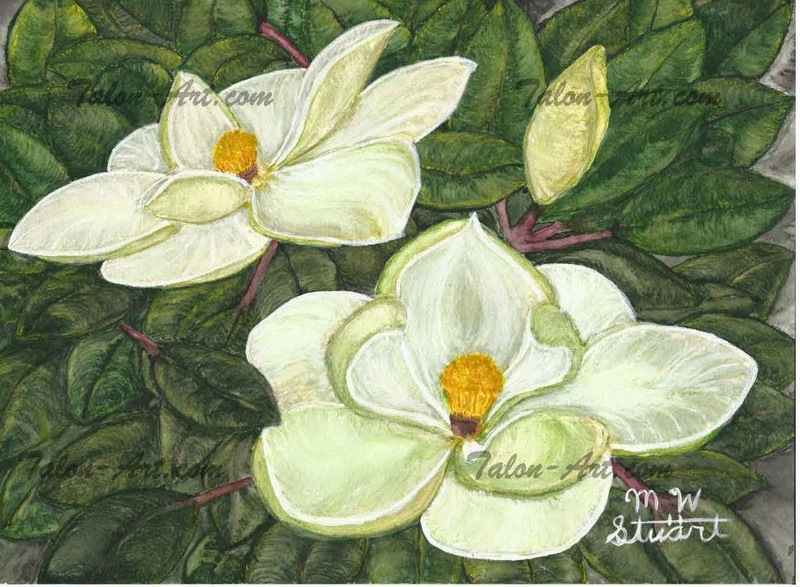 As the first location for his 2014 Art Exhibits Tour, Mississippi artist M.W. Stuart is showing his Ross Barnett Collection at the Pearl Public Library through the month of May. Stuart is hosting an opening reception at the library on Sat. May 24 from 11 a.m. to 3:00 p.m, to officially kick off his art tour, and he invites everyone to come. Stuart has been painting most of his life. Capturing a feeling or emotion or thought is what he strives to do in creating his magnificent pieces he says on his Artist page at www.talon-art.com. 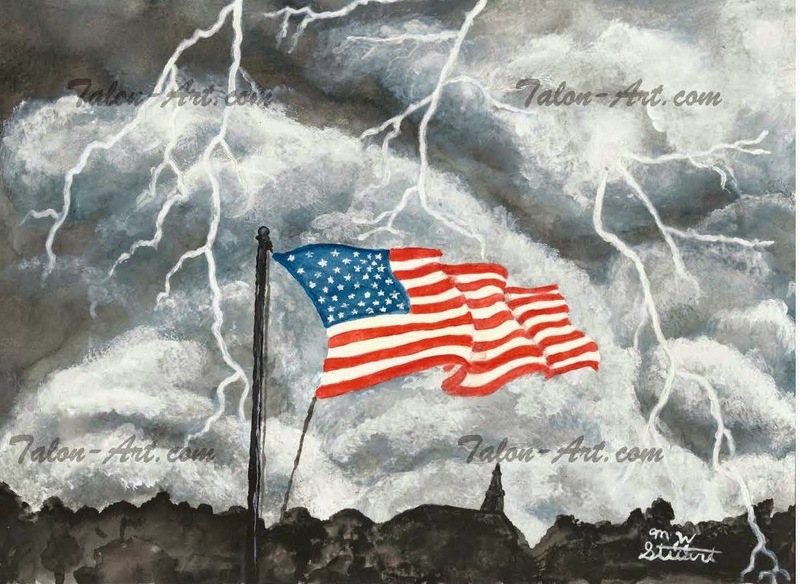 "I also prefer to make a painting interesting in its color, contract and subtlety, rather than focusing on detail and realism." You can view Stuart's art collection in the library's Meeting Room during normal library hours. Don't miss this wonderful art exhibit!